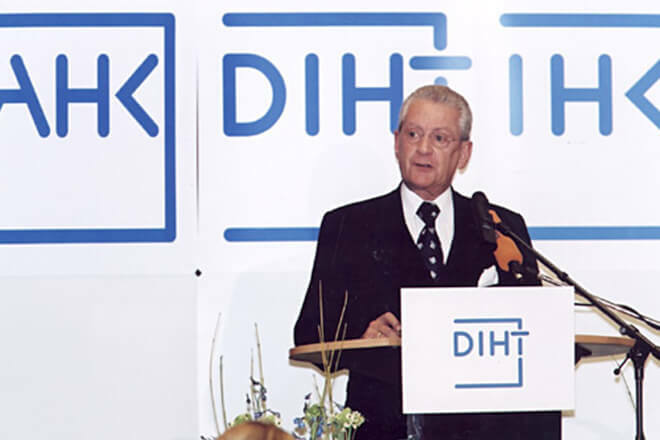 Hans Peter Stihl resigns from his official positions with the DIHT and the Chamber of Industry and Commerce, becoming Honorary President of both organisations. 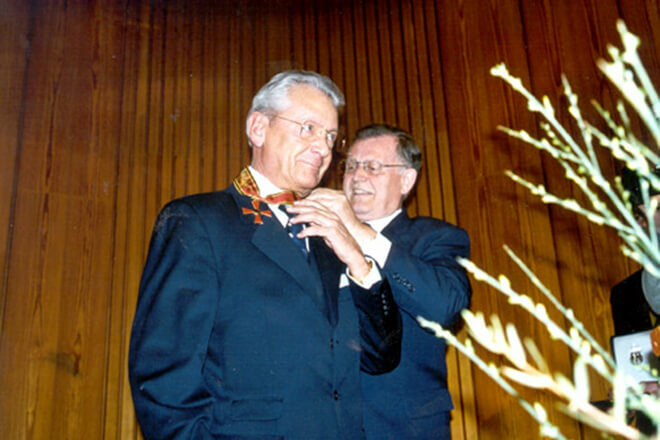 Hans Peter Stihl receives the Grand Cross of Merit with Star of the Order of the Federal Republic of Germany from Baden-Württemberg’s minister-presdient, Erwin Teufel. 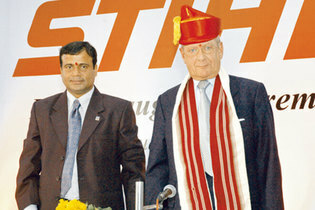 He is appointed Honorary Consul of Singapore the same year. 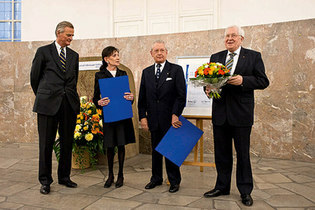 The Honorary Consulate for Baden-Württemberg, Hessen, Rhineland-Palatinate and Saarland opens in Waiblingen. 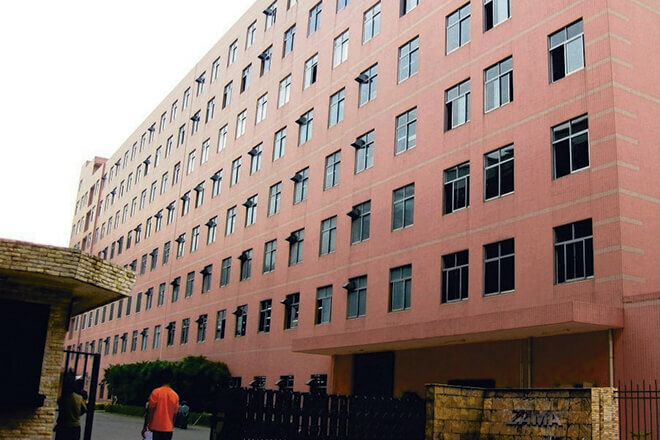 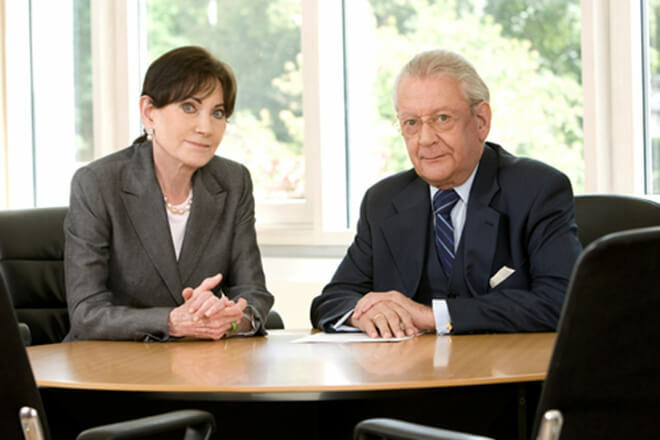 The family shareholders withdraw from business operations and employ a Management Board of non-family members. 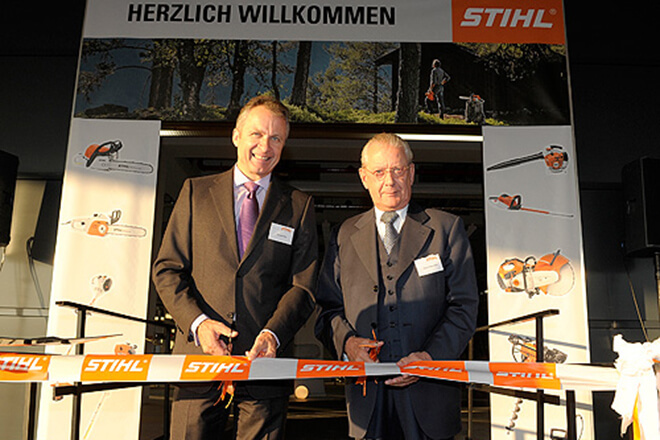 Hans Peter Stihl becomes Chairperson of the Advisory Board for STIHL HOLDING AG & Co. KG and Chairperson of the Supervisory Board for STIHL AG. 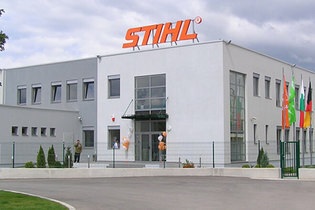 TOV ANDREAS STIHL is founded in Kiev, the capital of Ukraine, on 24 December 2002 and commences business operations on 1 July 2003. 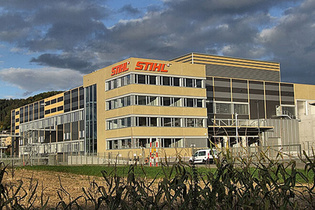 STIHL had already opened a representative office here in 1994. 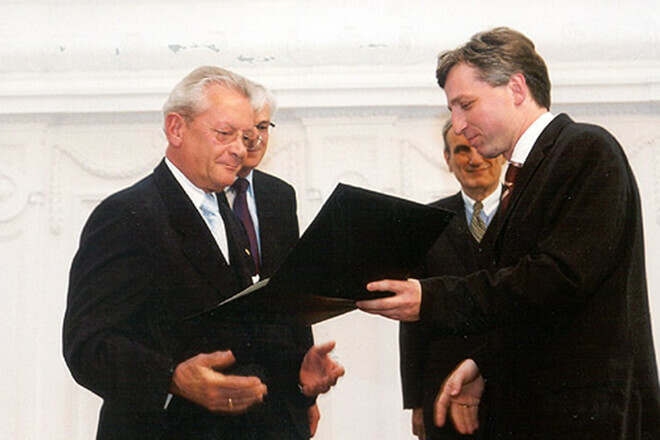 On 9 May 2003, Hans Peter Stihl is honoured with the Hanns Martin Schleyer Prize at the Neues Schloss city palace in Stuttgart. German chancellor Gerhard Schröder attends the opening of the new development centre in Waiblingen/Neustadt as a guest of honour. At 40 million euros, this is the biggest single investment in company history to date. 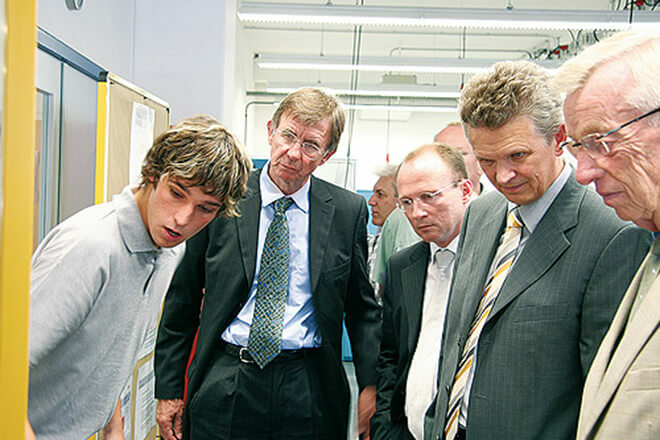 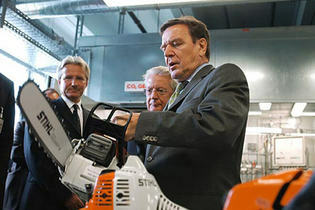 On 15 July 2005, the new STIHL Training Centre is officially opened at Plant 6, Waiblingen, in the presence of District Administrator Johannes Fuchs and Mayor Dr Werner Schmidt-Hieber. 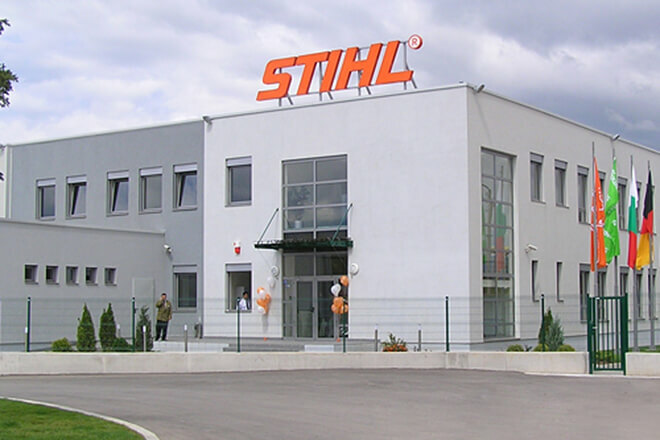 STIHL focuses on sustainable development in central and eastern Europe. 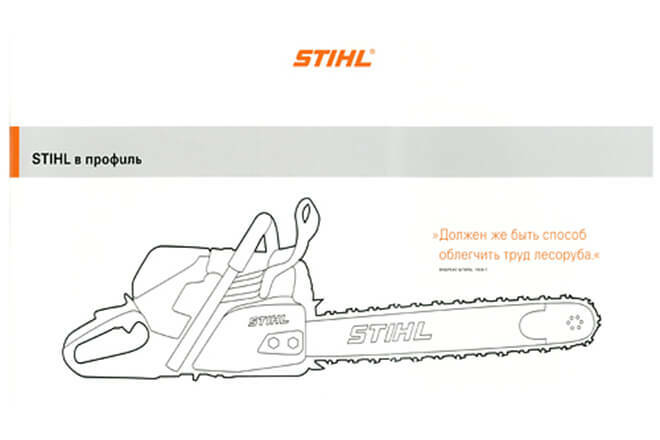 The sales company ANDREAS STIHL EOOD opens in the Bulgarian capital of Sofia on 2 July 2005. 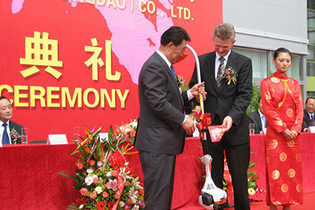 The new STIHL plant in Qingdao opens on the company’s 80th anniversary. 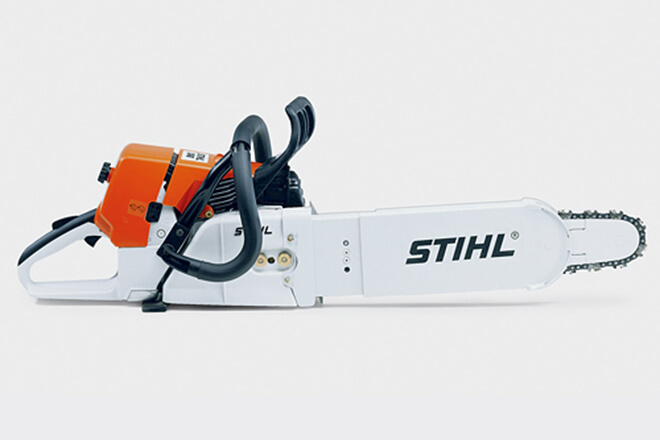 The international production network allows STIHL to make larger and larger investments in the development of new products, which continues to be based in Germany, thereby meeting ever rising demands in terms of performance, comfort, safety and environmental friendliness. 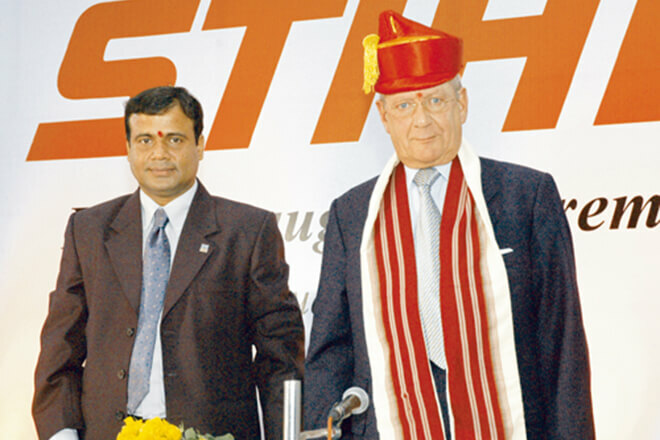 A new sales company is founded in Pune and officially opened by Hans Peter Stihl on 16 January 2007. 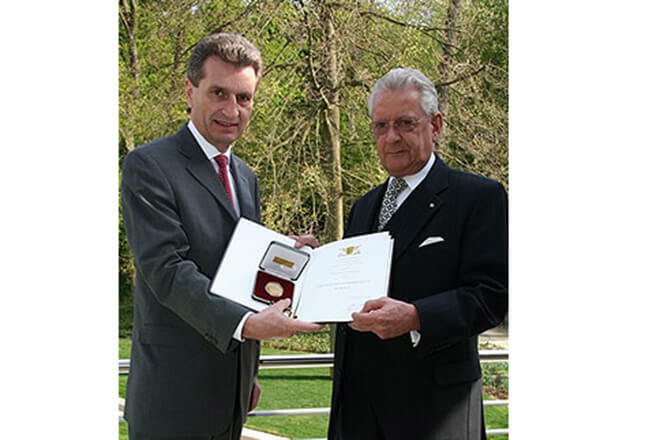 On 18 April 2007, Minister-President Günther H. Oettinger presents the Große Staufermedaille medal of honour in gold to Hans Peter Stihl at the Stihl conference centre in Waiblingen to mark his 75th birthday. STIHL opens a second saw chain plant in Bronschhofen (St. Gallen), Switzerland. 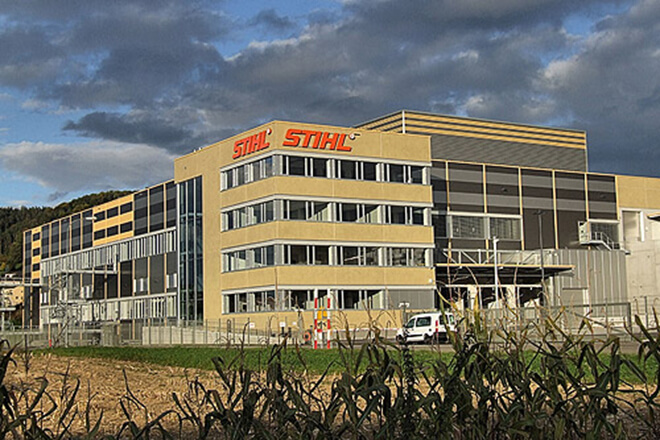 Investments in the new plant total 160 million Swiss francs. 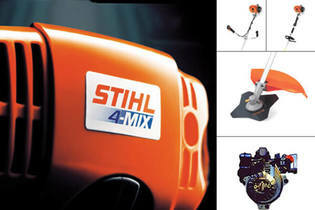 STIHL takes over the carburettor manufacturer Zama along with Zama Japan KK and Zama Corporation, Ltd., Hong Kong. Securing its supply of own products with one of the world’s leading manufacturers of carburettors for portable motorised equipment also opens up a promising new field of business for STIHL. The new marketing company is founded in St. Petersburg on 12 December 2008 and commences operations in March 2009. STIHL continues to count on its proven partners for sales in the largest country on earth. 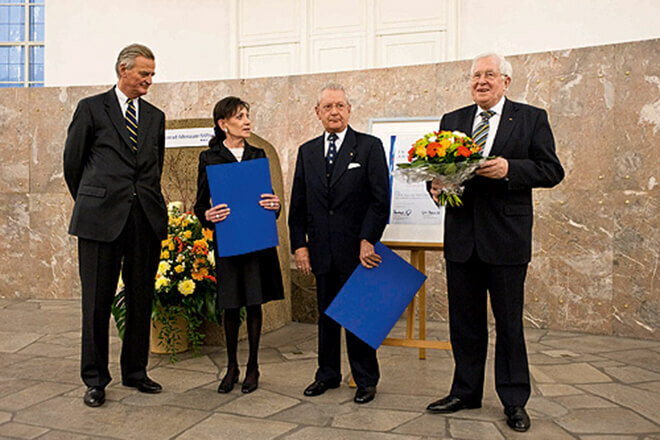 Hans Peter Stihl and Eva Mayr-Stihl are honoured with the “Social Market Economy Prize” presented by the Konrad-Adenauer Foundation at Paulskirche church in Frankfurt. 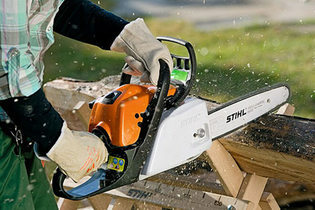 The 046 RHD, the first STIHL rescue saw, is tailored to the requirements of rescue services, such as fire brigades, Technisches Hilfswerk (agency for technical relief in Germany) and emergency management. 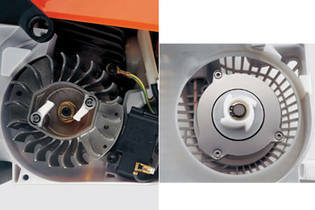 The revolutionary four-stroke engine lubricated with a fuel-oil mixture combines the benefits of two and four-stroke engines: Less exhaust gas, lower weight, high torque. 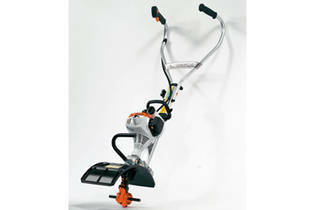 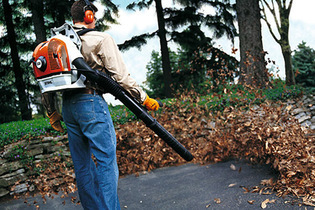 The sophisticated starting assist for compact chainsaws and lightweight trimmers makes starting the engine much easier. 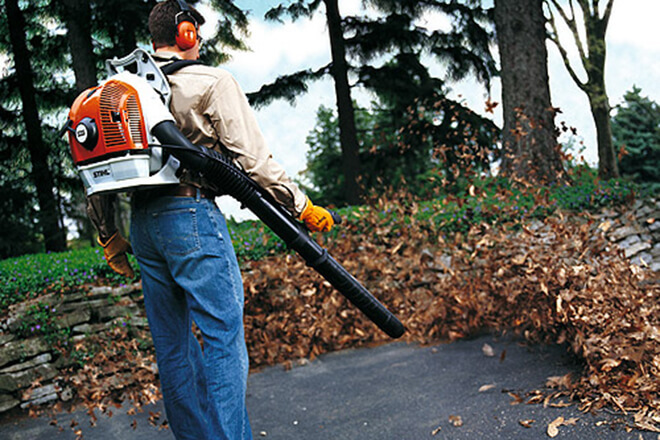 Numerous lawn care, tillage and surface cleaning tasks can be completed with the combination of the MultiEngine and easy to change MultiTools. Powerful STIHL 4-MIX® technology, effective vibration damping and additional details make work easier and more comfortable. 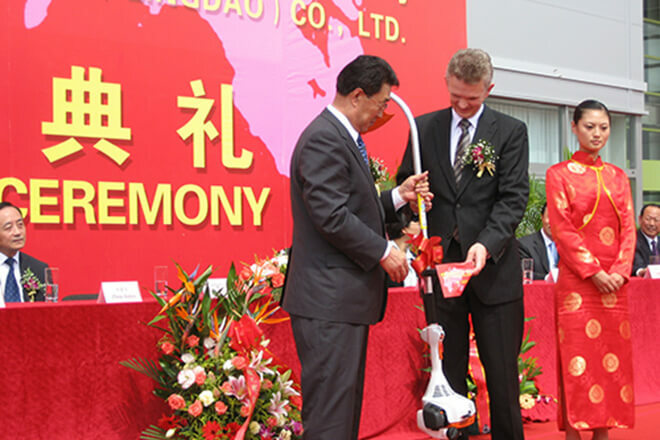 Prizes: reddot design award and Innovation Medal in Gold for innovations at the demopark trade fair. 2-MIX technology with stratified scavenging, ErgoStart and quick chain tensioner make it exemplary in terms of performance, environmental friendliness, working comfort and handling. 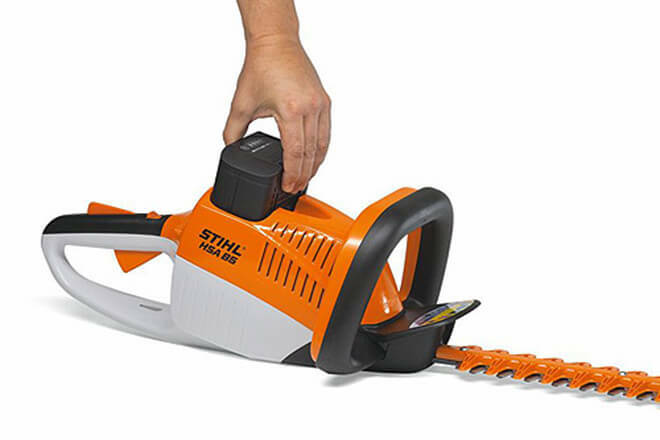 Thanks to the new rechargable battery system, the new STIHL HSA 65 and HSA 85 hedge trimmers combine the freedom of a petrol-powered tool with the low noise level of an electric appliance. With the STIHL modular battery system, the battery packs in the 36 V class can be used in all STIHL cordless devices.